Los Angeles faces critical challenges to ensure water security and climate resilience. Roughly 60% of the water supply in the County of Los Angeles is imported from another region. Local groundwater and recycled wastewater supply the rest. Imported water nearly equals the amount of water which we let flow out to the ocean in any year. During a storm, roughly 7.6 billion gallons of fresh water drain straight out to the ocean instead of soaking in to the ground. Most of the city’s stormwater is managed through an extensive network of concrete street gutters, storm drains, and flood control channels. Californians use an average of 196 gallons of water per day. ~70% of that water is used outdoors to water plants or fill swimming pools. With the price of importing water going up and droughts becoming more frequent, we need to change our habits. A home retrofit consists of simple strategies meant to capture, store and reuse water on homeowner's properties. These strategies make a home climate-resilient and have great benefits. 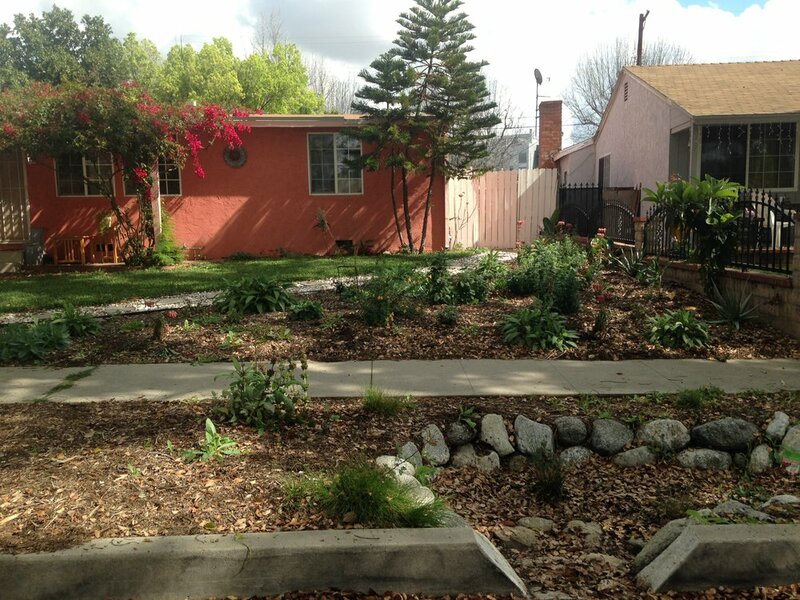 To date, Water LA has helped residents complete over 130 urban acupuncture projects that capture, conserve, and reuse water at homes throughout Los Angeles. WaterLA is an initiative bringing nonprofits, local government agencies, small businesses, and people like you together to retrofit for resilience with Urban Acupuncture, point by point. To bring Water LA to Angelenos around the region, we want to offer as much support as we can. There are many ways to get involved. 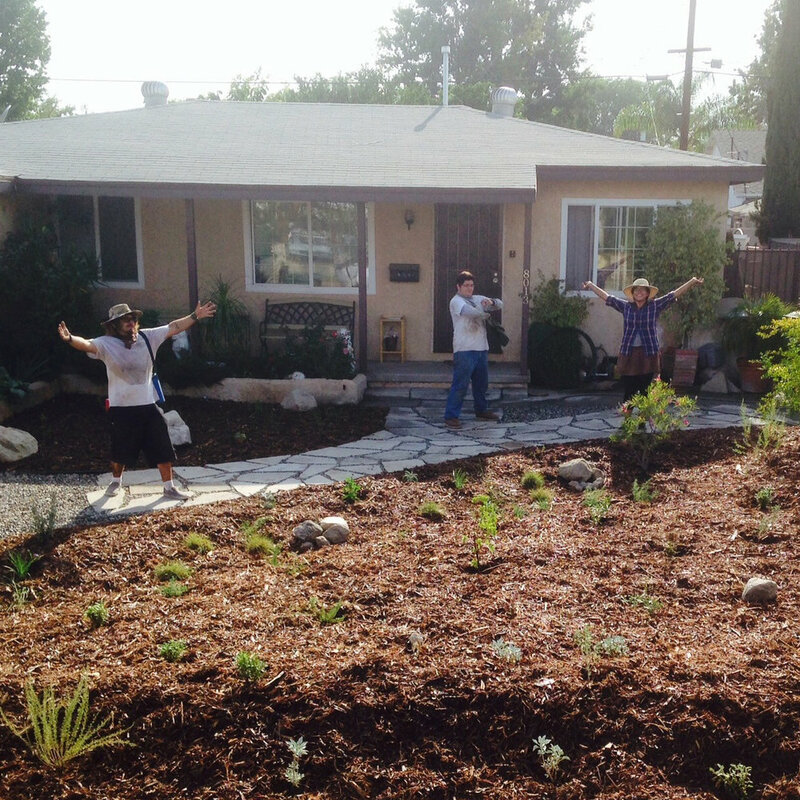 Water LA has hands–on workshops and pilot installations going on throughout the Los Angeles region. If you're interested in collaborating with Water LA at your residence, click below to find out if you qualify for a free Water LA installation. Water LA presents a series of hands-on workshops on residential sites (our pilot properties) throughout the year. If you'd like to learn more about these simple strategies and get your hands dirty doing it, sign up to attend a workshop. Are you ready to implement Water LA strategies on your property? We'd love to help you, whether you need some thoughts on where to get started or if you'd like to talk with us about hiring our Water LA vendors. If you don't qualify for a pilot and you're not comfortable implementing Water LA strategies yourself, we would be happy to connect you with an expert that we trust to help you retrofit your home.